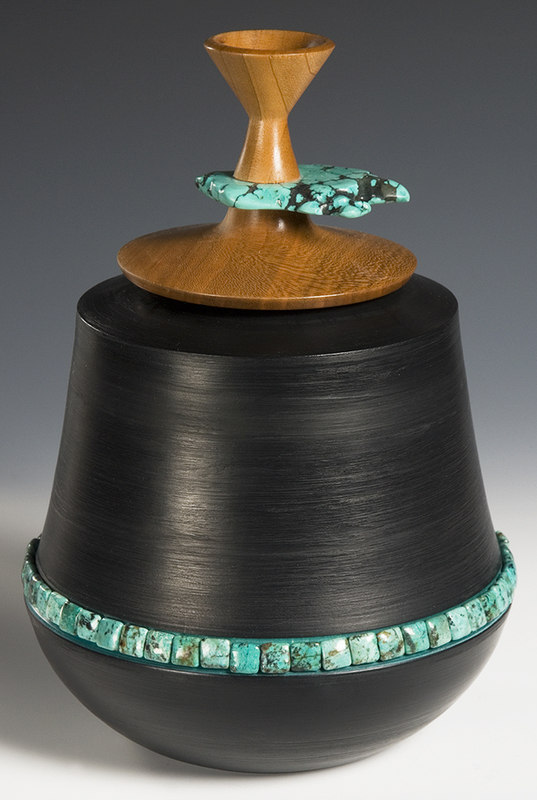 Lathe-turned Maple with Cherry lid and Turquoise accents. These pieces are gorgeous. The lathe-turned piece is absolutely stunning. The turquoise is a fine addition and takes it out of the usual lathe turned category.